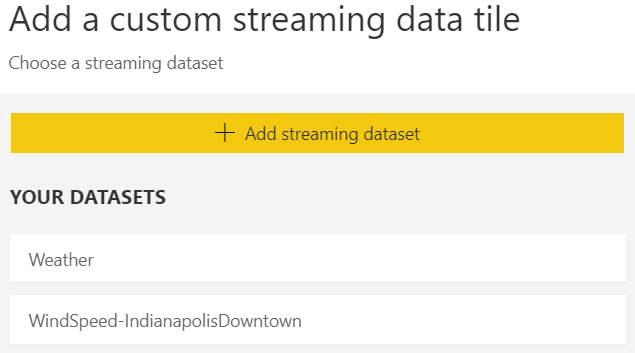 This post will demonstrate how to push data into Power BI Streaming Datasets with C#. For demo purposes I normally use LINQPad to run the code, but you could also create a .Net or .Net Core console application. LINQPad is an excellent, lightweight scratchpad for C# and other .Net languages. From the home page of a Power BI workspace, click Create in the top right corner. In the dropdown, select Streaming dataset. 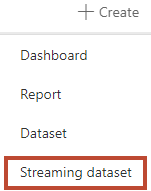 In the New streaming dataset window, select API and then Next. Enter a name for the dataset and add values as shown below. As you can see from the values, this demo simulates wind speed data from a weather station. When done, select Create to create the dataset. Once the dataset is created, copy the Push URL that appears and save it somewhere. 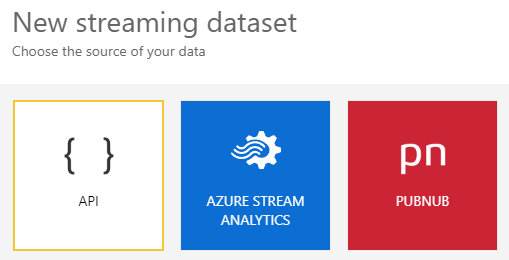 Now that the dataset has been created, it’s time to add a dashboard tile. Navigate to a dashboard where you want to add the tile. 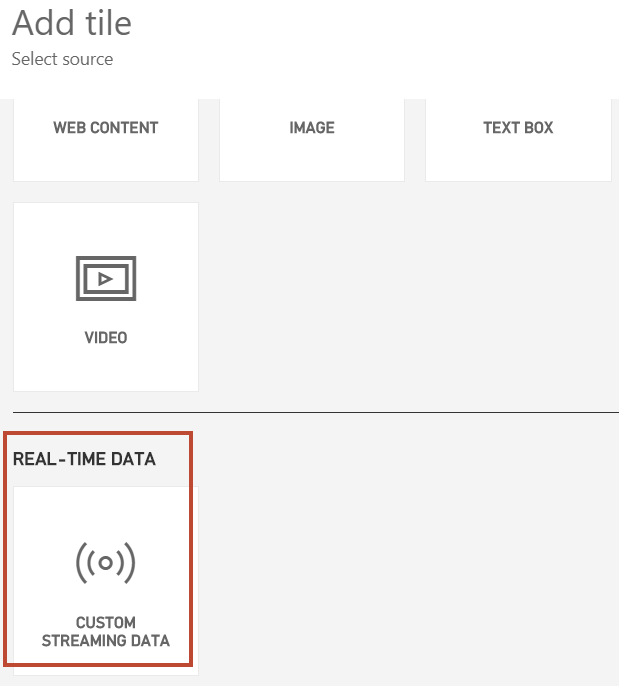 Click Add tile and then select CUSTOM STREAMING DATA. Select the dataset that you previously created and click Next. On the Tile details pane, enter the values as shown and click Next. On the next pane, enter a title or subtitle if you wish and then click Apply. Adjust the tile as desired. The size shown below works well. 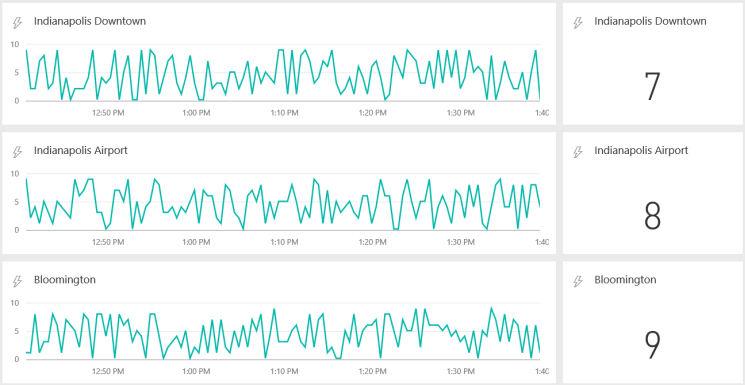 The Power BI dataset and dashboard should now be ready for streaming data. The code below will push random/demo data into the previously created streaming dataset with a duration and frequency of your choosing. It was written for demonstration purposes, and as I previously mentioned, I normally run it in LINQPad. The following namespaces are used, with Json.NET 10.0.3 installed via NuGet. If you’re using a LINQPad version < Developer, you’ll need to download the Json.NET assemblies and reference them manually. 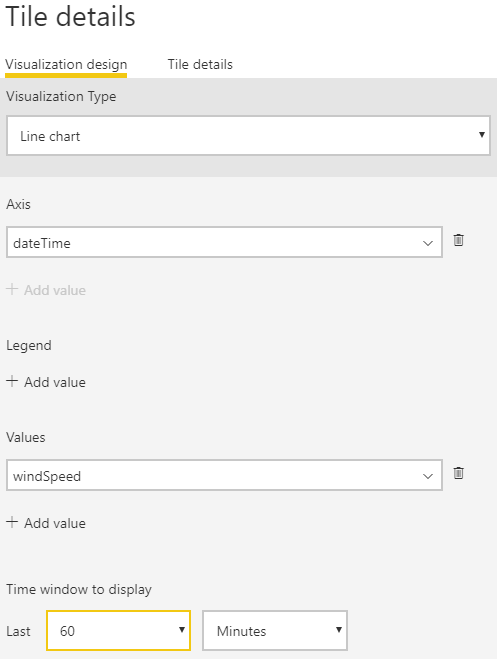 Generates random wind speed observations and pushes them to a Power BI streaming dataset. Supply your own values in the Main method on line 24 - most importantly the Power BI push URL. The script will not run without it. On lines 19-20 you can set the script duration and data push frequency. Thread.Sleep(pauseInterval * 1000); // Pause for n seconds. Not highly accurate. While the script is running, the streaming dataset tile should update in real time. Linked is a similar tutorial that also highlights PowerShell and Flow. 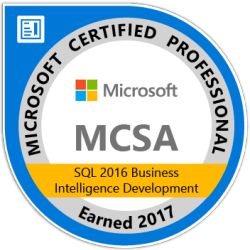 My post differs by focusing on a C# script that can be run on demand in LINQPad, with an easily changeable duration and push interval. The code above should also be compatible with .NET Core. 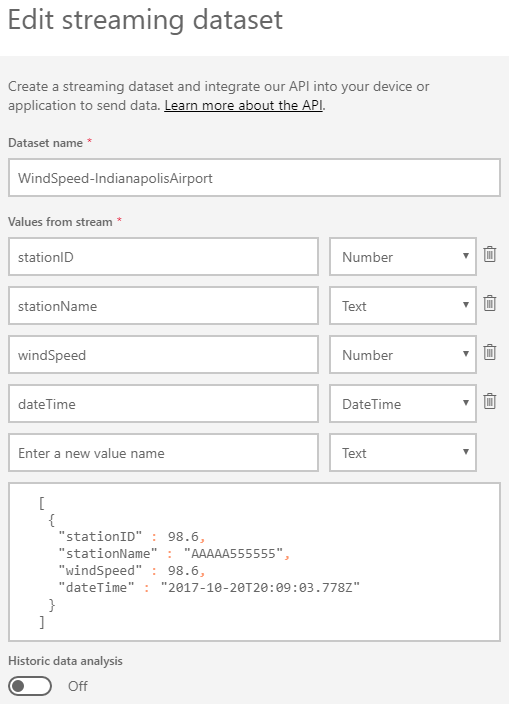 Similar tutorial by Reza Rad that makes use of the Power BI REST API. My post differs by pushing directly to a Streaming Dataset push URL instead of using the REST API.